Don Edlin is a veteran coach and founder of QCBaseball.com, a website that provides coaches, players and parents with information on baseball drills, coaching philosophies and baseball instruction. Don played multiple sports throughout his childhood and baseball in college. He attributes his involvement in sports with better grades and bringing him out of his shell. Youth sports leagues are suffering due to problems at the local level. How they are being managed, a lack of available resources and insufficient coach training are all contributing factors. There are many ways a coach can improve the situation. 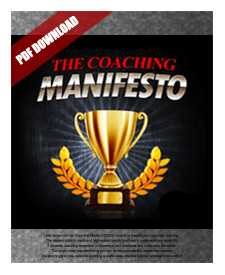 Don explains how instilling positive thinking in players, counteracting negative parental involvement, using role models from professional sport teams and implementing motivational tools all contribute to successful players, teams and leagues.